The 2016 concert festival season is still a few months away, but the time to prepare for the unexpected challenges that severe weather can pose to live event organizers and their on-site staffs is at hand, according to Event Safety Alliance President Jim Digby, who just announced that the 2016 Severe Weather Summit will take place March 8-9, 2016 at the National Weather Center in Norman, Oklahoma. Registration for the must-attend summit is now open at www.severeweathersummit.com. According to Digby, over the course of the two-day event at the National Weather Center’s Storm Prediction Center in Norman, Oklahoma, subject matter experts from NOAA and the National Weather Service will introduce participants to short-fused severe weather incidents and that can threaten all types of events and venues, as well as the steps that can be taken to develop a Severe Weather Preparedness Plan. The cost of attending the summit is $750, which includes complimentary breakfast, all materials and an evening reception. ESA members qualify for a 15 percent discount off of the cost of registration. The summit will feature presentations by personnel from NWS, NOAA, the University of Oklahoma and private meteorological companies. Attendees will learn what weather products and services are available to industry professionals to help them on site. New technologies and mobile applications that simplify safety planning will be demonstrated. Attendees will also learn about the National Weather Service "StormReady" and "Weather Ready Nation" programs for their venue, tour or event. 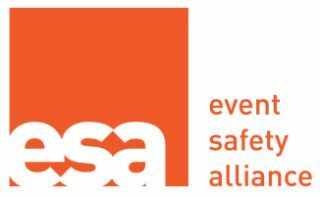 The Event Safety Alliance (ESA) is a non-profit trade organization dedicated to promotion and support of a “life safety first” attitude during all phases of live event production. The ESA will achieve this through the dissemination of safety preparedness information and the creation and development of safety planning, training and other resources. Further, the ESA strives to improve the safety culture that currently exists in the live event production industry to reduce or eliminate unsafe conditions and behaviors. More information about the Event Safety Alliance is available at eventsafetyalliance.org.